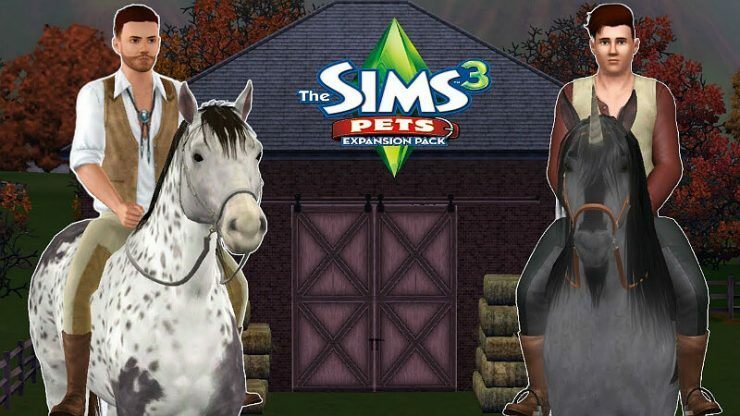 This guide will tell you more about the Pets Expansion Pack. Create-a-Pet is a powerful tool that allows for creation of the new pet types (aside from minor Pets like ♥♥♥♥♥hillas). Similar to our freedom in making Sims look how we’d want, CAP allows for pretty much any design you’d like on an animal. The game comes with many set breed patterns, and most types of animal coat are covered. If it’s not, you could attempt to make it yourself. 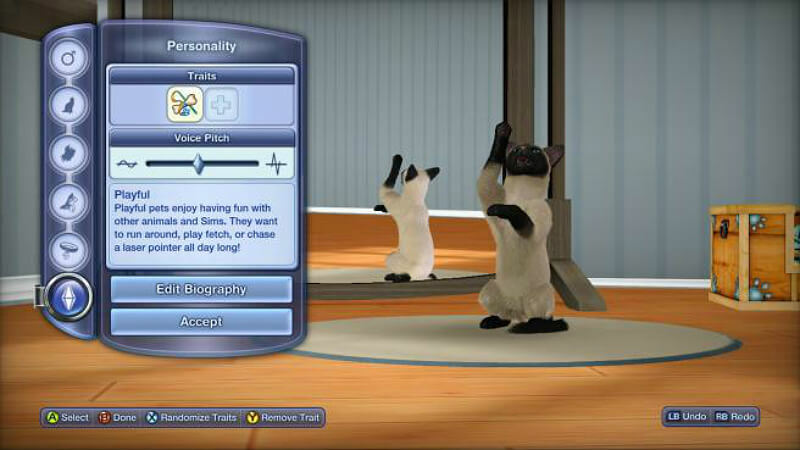 Breed doesn’t matter in The Sims 3 Pets past the CAP interface. You are limited to adults during Pet creation. Large Pets have traits, just like Sims. They will learn new traits as the game progresses, and aren’t limited to five trait choices like Sims. There are loads of options for tweaking your Pet’s behavior. They’ll gradually develop traits as they perform certain activities, and Sims can scold or praise behaviors to influence how quickly they are picked up. We’ll add a guide to Pet traits as soon as we can. The descriptions are in-game, but we’re interested in figuring out the actions Pets can perform to reveal traits, so you can make an animal that behaves however you like. 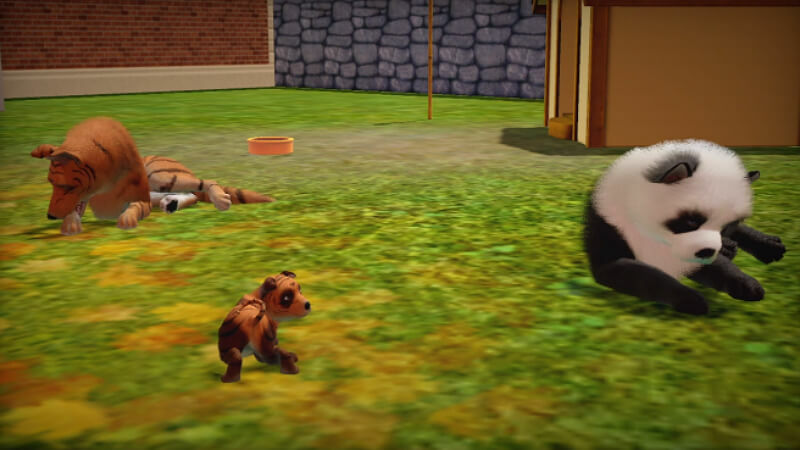 Sims get a couple pet-related traits, and six new Lifetime Wishes related to the animals. They relate to befriending cats and dogs, making money with horses, collecting animals, and adopting strays. Aside from this, they get interactions with the Pets, some new clothes, and a couple Pet-related LTRs. There are four categories of Pets you can adopt or find. Dogs, Cats, Horses, and Small Animals are all offered in the game. Getting the large Pets requires only that you adopt them with a phone or computer. Small Pets need to be found in the wild by a Sim or Cat. *BAM* Your pet is back!! The only cause of death that can claim an animal is old age. Although dogs can swim, they do not drown. Animals who are happy and have achieved 10,000 lifetime points will be nice, blue ghosts. A pet that achieved less than that ill come back as a red ghost. If you have a Pet, and your Sim is actually friends with it, the pet may plea to the Grim Reaper for the Sim’s life. 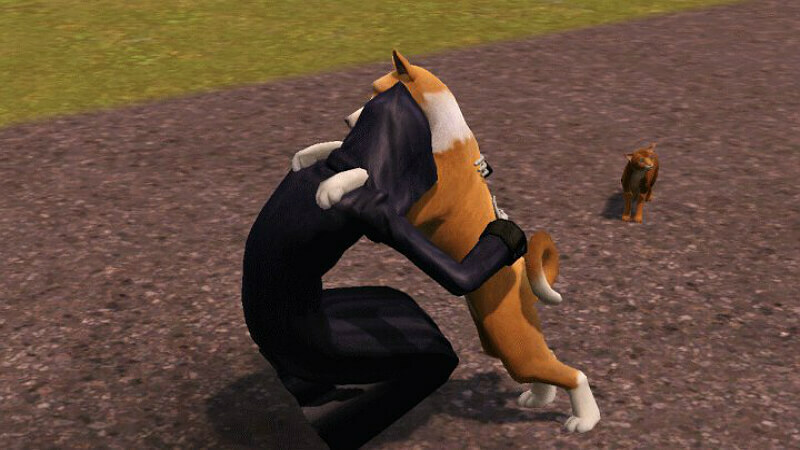 So, fido just might save your Sims from death if he’s around when they die. Dogs have a need for destruction. Even the most well-behaved dog will want to tear something up once in a while. When they aren’t chewing on something (hopefully appropriate) they are able to sniff around until they find collectibles like gems and metals with the Dog hunting skill. Cats can collect small animals for your Sim with their version of the hunting skill. They get litter boxes to satisfy their potty needs indoors, but start to get miserable if they don’t sink their claws into something. Thankfully, you can get them a scratching post. If not, the alternative is probably the couch. Horses are the most fully-featured pet available. They offer a sick new way of making money in racing, but particularly breeding, training, and selling horses. Males and females can be offered at the new Equestrian Center for Stud/Mare services. Studs even get paid. Along with this comes a new Riding skill for Sims, and the Racing and Jumping skills for Horses. While none of these are particularly exciting alone, it makes for a nice experience leveling your Sim’s Riding, taking care of horses and training them to be racing champions. 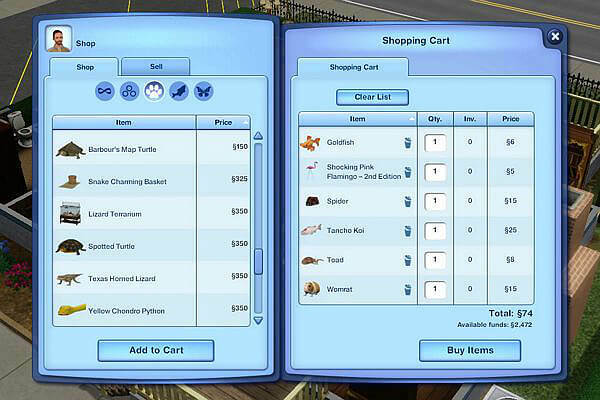 Pets adds several new categories of minor pet that can be found by Sims or caught with a Cat. They’re quite valuable, but also make nice additions to the household. They are birds, lizards, rodents, turtles, and snakes. You can learn all about them and see lists and prices in the minor pets guide linked above. Sims can befriend wildlife, and even get better at doing so. You can see deer and Racoons, but the main targets to befriend will be the new wild horses. They are simply wild versions of the regular horses you can adopt, but there’s some satisfaction in watching your Sim ride off on one to take it as their own. 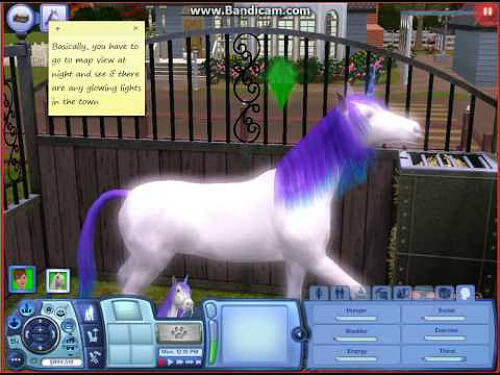 Unicorns are the new form of life in The Sims 3 Pets. They can bless and curse Sims and Pets alike, and cause plants to grow or die using their magical reserves. 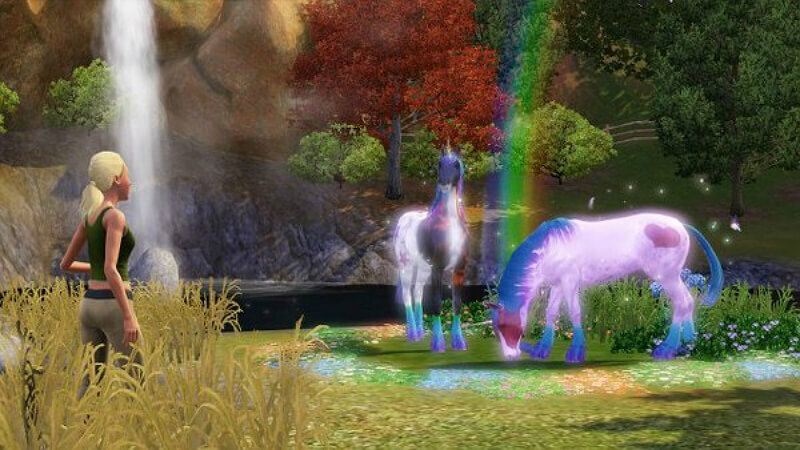 They’re very powerful in that right, but all Unicorns come with level ten racing and jumping skills. They run super fast when mounted, to boot. They’re ready to head to the track and win big, easily. 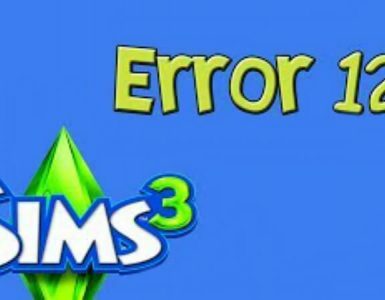 That is, if your Sim can handle it. Just like Sims, Pets accumulate Lifetime Happiness points from being happy. They can spend them on LTRs, some of which are unique. There are new objects in most categories as you’d expect. There are not very many new object types however. Cats get litter boxes, there are animal houses and horses get all the things a horse would need to be comfy and train for racing. Still, probably you’ll be satisfied with the new items, many of which have a country feel. All in all, this is a sturdy expansion pack but nothing yet can really compete with Ambitions for me. Thankfully, they don’t have to… we can have both. 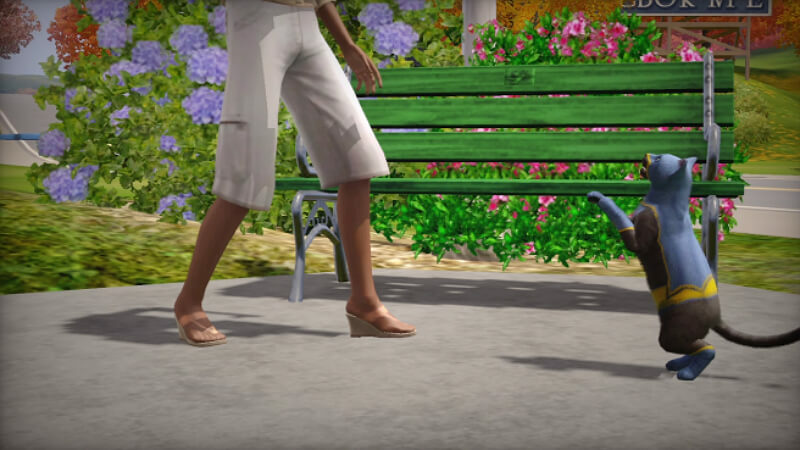 Hopefully, this guide will help you understand more & decide whether The Sims 3 Pets is right for you. Please leave a comment if you have a question or doubts. 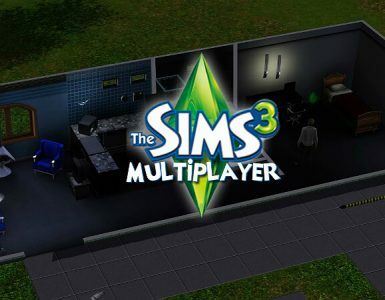 The Sims 3 vs The Sims 4 which is better?